Needing a bit of respite from our campground experience outside of Chicago, we were willing to pay a little bit more to have a few extra amenities the next time. 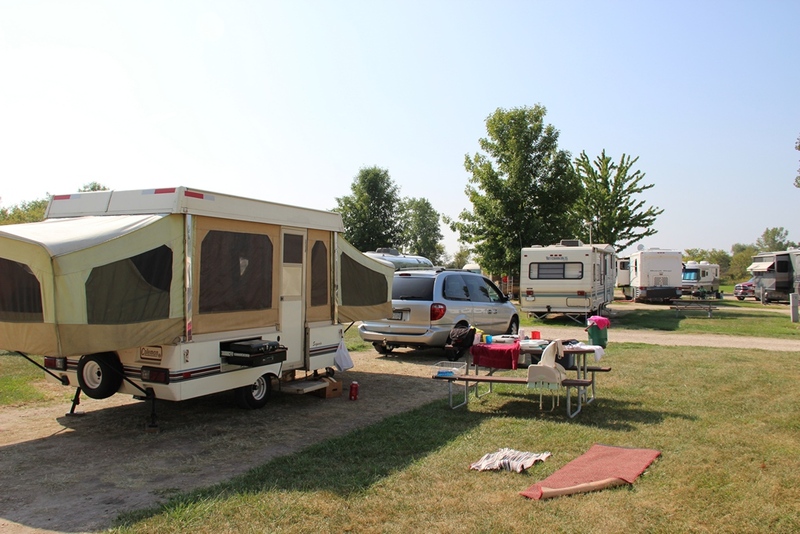 What we found was a Kampground of America (KOA) in Madison, Wisconsin, en route to the Minneapolis/St. Paul area of Minnesota. It was just an overnight stay. A chance to shower, clean out the car and trailer a bit, and do some much needed laundry. 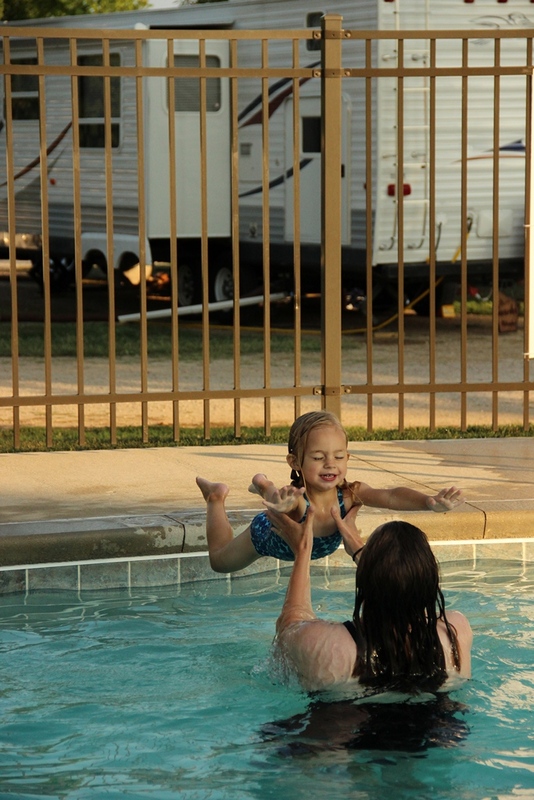 It didn’t hurt that they had a pool to splash around in with the kids. Price: At $39 and something, almost our most expensive campground by just a few cents. In general, more than we’re willing to pay. Location: Just off the interstate, so it was easy to find, but not exactly filled with beautiful nature. Since we just used it as a stopping place, I can’t comment on proximity to Madison or any area attractions. SIte Description: Tiny, grass and gravel sites that are pretty close together. Few trees, and very little shade. Not bad, but nothing special. Neighborhood: KOA has its own culture (kulture?) that we’ve yet to understand. Most of our neighbors were loyal KOAers and the neighborhood had more campers out for longer, multi-stop trips like ours than families out for the weekend. Comments: It was just fine for an overnight, and probably just what we needed at the time. I’m not sure I’d choose it for a longer stay, though. We left on Monday (Labor Day) and headed for what turned out to be our favorite campground so far where we spent most of that week: Lake Elmo, Minnesota.